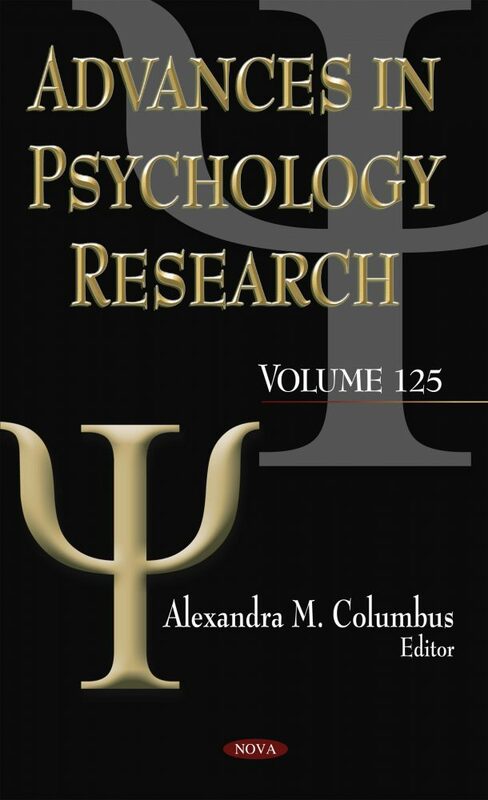 This book focuses on the latest developments in psychology research. In Chapter One, the author argues that teaching psychobiography as a method in universities would be very useful, and that similar idiographic methods are important in psychotherapy research. Chapter Two analyzes a comprehensive model for a possible new clinical condition called “studyholism.” Chapter Three studies student consumer behavior. Chapter Four examines the similarity of parents and teachers ratings on kindergarteners’ motor functioning with children’s actual motor tasks performances. Chapter Five reviews research advances in forensic assessment and therapeutic intervention, which are two of the most important areas of forensic psychology. Chapter Six explicates the challenges and ethical dilemmas in charting mental health information in electronic records. Chapter Seven examines how different internal and external markers of resiliency affect mental health outcomes after interpersonal violence; namely, posttraumatic stress, emotional dysregulation, and posttraumatic growth. Chapter Eight discusses current theoretical debates about differential diagnosis between bipolar disorder and borderline personality disorder, considering the nature of their etiology, the convergence of their clinical features and the treatment implications. Chapter Nine presents three methods of calculating attention bias. Chapter Ten studies the role of consumer regret and cognitive load in online shopping.